Bartlett Tree Experts offers insect control services designed to reduce infestations in specifically designated areas on your property. Our treatments are highly effective in reducing the number of mosquitoes in a localized area and can be applied on a regular basis throughout the warm season or at your request just in time for an important event like a garden party or outdoor wedding. 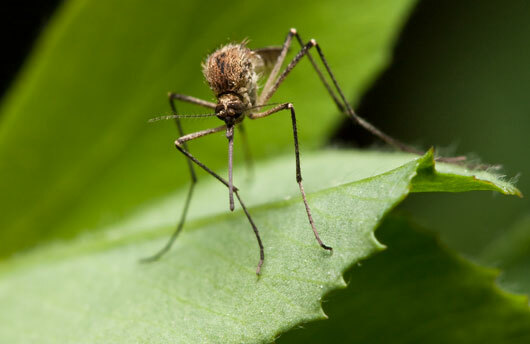 With frequent, scheduled applications we can help you to better enjoy your time outdoors by dramatically reducing the mosquito population on your landscape. Or, if you’re planning a special occasion, we’ll come to your event site 48 hours in advance and provide a spray treatment around the perimeter of the party area. It doesn’t take long to perform this service and all the products we use are tested at our 350-acre research laboratories to ensure optimal safety and effectiveness. As a world leader in scientific tree care, Bartlett Tree Experts has a commitment to its customers and the environment. That means a company you can trust – one with over 100 years experience, that offers only the most advanced treatments and wants to provide only the highest level of customer satisfaction.